The Leedey Chamber of Commerce is excited for Leedey’s newest business. Whole Heart Creations opened their doors in May of 2016 and have been going strong ever since. 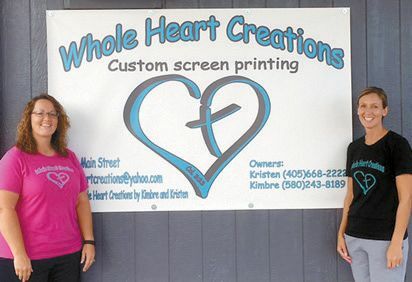 Whole Heart Creations is a custom screen printing company located at 620 S Main Street in Leedey. They provide a quality product at a competitive price.